One of the common coding questions is, how do you reverse an array in Java? Well, there are multiple ways to solve this problem. You can reverse array by writing your own function, which loops through the array and swaps elements until the array is sorted. That's actually should you be your first approach on interviews. Later you can impress the interviewer by a couple of other tricks, which is specific to Java development world. For example, you can reverse an array by converting array to ArrayList and then use this code to reverse the ArrayList. You can also use Apache Commons ArrayUtils.reverse() method to reverse any array in Java. This method is overloaded to reverse byte, short, long, int, float, double and String array. You can use any of the method depending upon your array type. This is one of the simplest ways to reverse an array in Java. This algorithm iterate over array and swap elements until you reach the midpoint. This is also known as reversing an array in-place because no additional buffer is used. The time complexity of this algorithm is O(n/2) which is O(N) because we are iterating over array till midpoint only. This should be your solution on interviews, rest of two methods are for practical use purpose. Btw, if you are preparing for Java interviews and solving coding questions to gain confidence, then you should also check Java Programming Interview exposed, one of the must read book to do well on Java Interviews. You can see the order of elements are reverse in the final array returned by toArray() method of List class. Btw, if you are struggling with algorithms and data structure then please check the new Grokking Algorithm by Aditya Bhargava. One of the best algorithm books for beginners. He has done a great job on explaining various algorithms with real world examples. 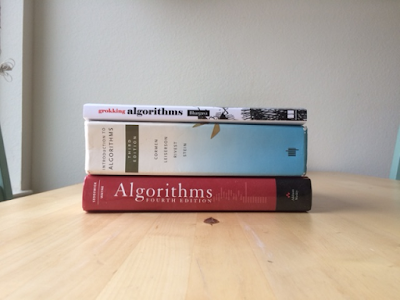 I know learning algorithms is not easy and the books we have e.g. Introduction of Algorithms and Algorithms 4th edition is also not very easy for beginners, hence I am promoting this book to all beginner programmers. The good knowledge of data structure and algorithms goes a long way in your career and it doesn't matter whether you do coding in Java or C++, these concept remain same. Apache commons is an open source library which provides several utility libraries which are essential for software development in Java. In fact, one should by default add this library into their Java projects to complement JDK. Apache commons lang provides an ArrayUtils class which has overloaded reverse() methods to reverse int, float or object arrays in Java. This method also reverses the given array in place i.e. it doesn't return a new array. You can see we have manged to reverse the array in just one line now. The ArrayUtils class is from Apache commons lang and you need to add commons-lang3-3.4.jar into your application's classpath. Alternatively, if you are using Maven then you can also add following dependency in your pom.xml file. That's all about how to reverse an array in Java. You have learned three different ways to solve this problem, first, you can the in-place algorithm to reverse array if you were asked to solve this problem on interviews. Second, you can use the ArrayList class if you need to reverse the array in your project and last, you can use utility method ArrayUtils.reverse() from Apache commons lang library if your project is already using it. If you want more of such questions from tech interviews, please see Cracking the Coding Interview 6th Edition, it contains over 190 coding questions from different software companies, startups, investment banks, and service based companies. We can write following way also. No, you're not reversing anything. You are just printing it out reversed. That's not about what this article is saying. Also, your approach have a O(N*2) complexity and creating N arrays which is very inefficient.